Members are referred to the project by health and social care clinicians. The arts college was set up 26 years ago and now delivers more than 80 classes a week under five departments: art, music, multi media, sports and horticulture to more than 1000 members and has an amazing success rate in improving health and wellbeing and integrating individuals back into their communities. 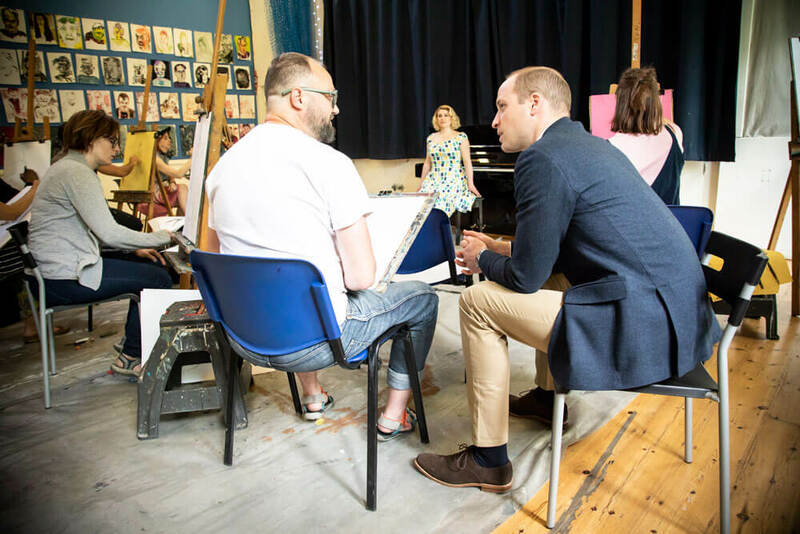 The Duke visited to learn more about the charity’s work, as part of his ongoing interest in mental health. 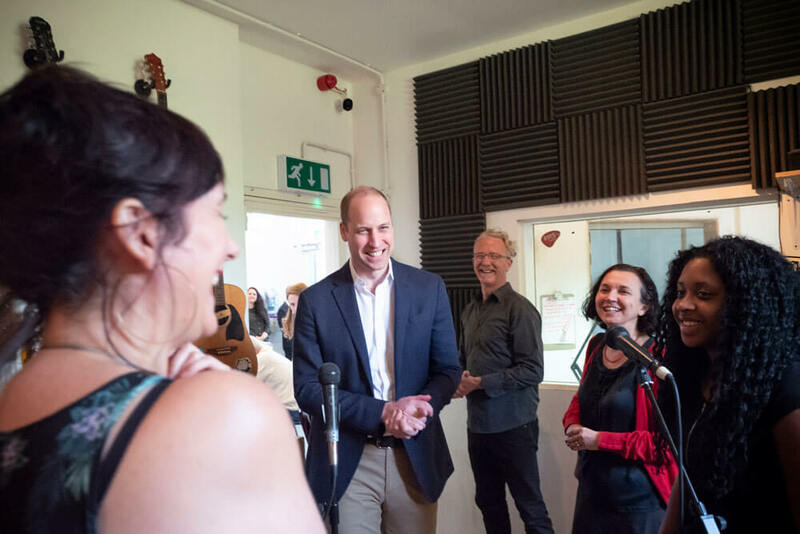 His Royal Highness was met by Core Arts director Paul Monks and deputy director Giuliana Molinari. He met trustees of the college and observed classes in Logic, singing, portraiture, ceramics, botanical drawing and songwriting, and chatted to members about their work. The Duke also met with key members of Core Sports which was recently awarded London Sport’s, Sport Club of the Year 2018.